Getting to Telč by public transport is not difficult at all. There are some direct trains from Jihlava, which is the region’s capital. However, the frequency of direct connections is not so great. That is not a problem, because there are more connections with a train change in the nearby Kostelec u Jihlavy. Depending on how long you have to wait for the connecting train in Kostelec u Jihlavy, the total journey time from Jihlava to Telč should be around 1 h to 1.5 h. You can check the timetables here. Alternatively, and this often will be the faster option, you can get to Telč by bus from Brno, Prague, České Budějovice or other cities. You can find bus timetables in Czech, English and German here. 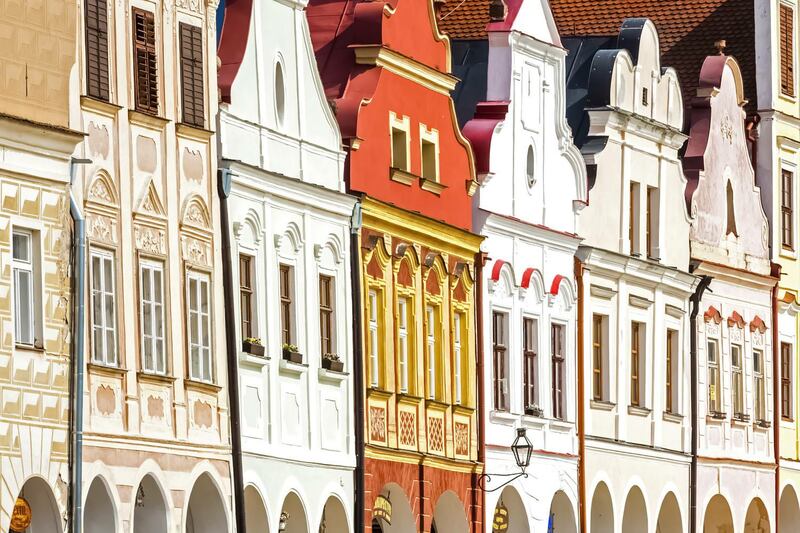 Hotel Pangea is a very good, affordable hotel within walking distance of the historic centre of Telč. The hotel has a small indoor swimming pool. Check the price and availability. Hotel Celerin is a very good 3-star hotel offering fantastic value for money. Conveniently located near the main square. Check the price and availability. 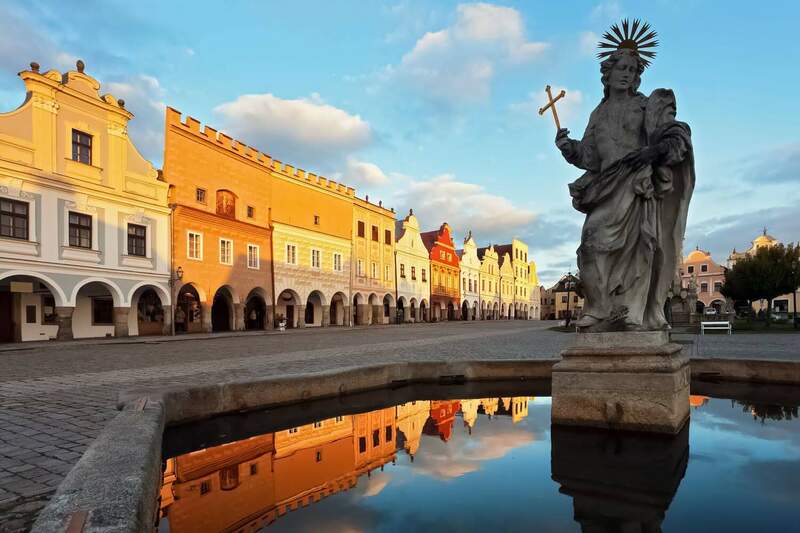 Hotel Telč is an excellent 4-star hotel in the very centre of the town, close to the central square. Check the price and availability. Telč Château (Zámek Telč), originally built as a Gothic castle in the second half of the 14th century, was rebuilt in the Renaissance style by Zachariáš of Hradec in the 16th century. 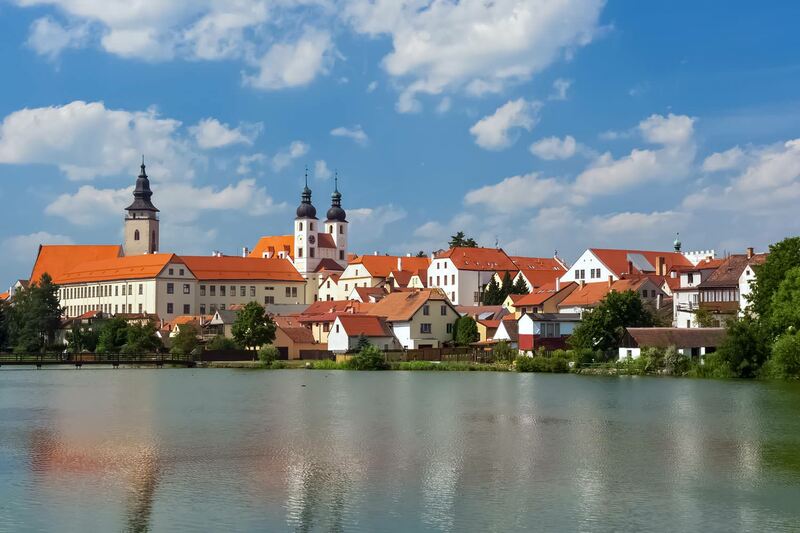 It is considered a jewel of Moravian Renaissance architecture. Zachariáš of Hradec Square (Náměstí Zachariáše z Hradce) is named after the aforementioned prominent citizen of the town. Considering that Telč is a very small town, the central square is quite large. As a matter of fact, it hardly resembles a square, rather a triangle, or simply a long street. It may be difficult to find another place with such a high concentration of well-preserved Renaissance houses. Most of them have beautiful gables, and some have also Baroque elements. You can dine in one of the restaurants located there and simply admire the beautiful view.